Edgewater LIVE presented by Cuyahoga Community College will kick off May 31 at 4:30 p.m. on the Centennial Plaza at Edgewater Beach House with performers from the Tri-C Creative Arts Program. Then, from 6 to 9 p.m., the region’s favorite headlining acts will perform on the Dollar Bank Stage. Visitors can grab a bite to eat from a rotating lineup of more than a dozen local food trucks each week and enjoy happy hour and local made-to-order fare from the Beach House, featuring spectacular views of Lake Erie and Cleveland’s skyline. New this year is the Edgewater Nature Shop that will enhance beach and recreational offerings for visitors throughout the summer season. 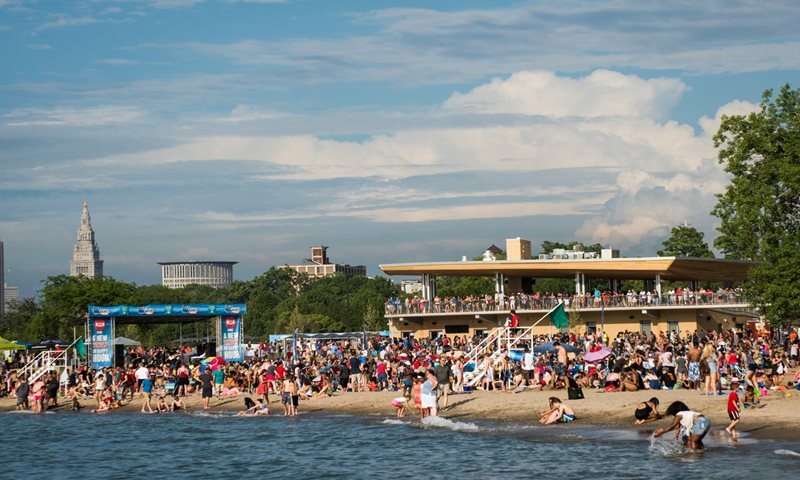 Beach goers will be able to rent standup paddleboards, umbrellas and chairs and purchase towels, sunscreen, Cleveland Metroparks branded merchandise and more.